Family photo of Merck Foundation First Ladies Initiative (MFFLI) Summit 2019 (L to R) H.E. 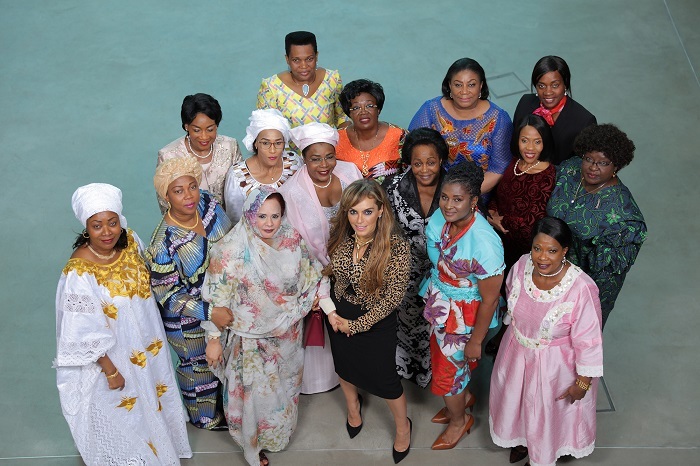 First Ladies of Burundi, Mauritania, Guinea Conakry, Sierra Leone, Gambia, Niger, Malawi, Merck Foundation CEO, Mozambique, Zimbabwe, Central African Republic, Congo Brazzaville, Ghana, Namibia, Botswana, Liberia. Dr. Rasha Kelej, CEO Merck Foundation & President of Merck More than a Mother with H.E. 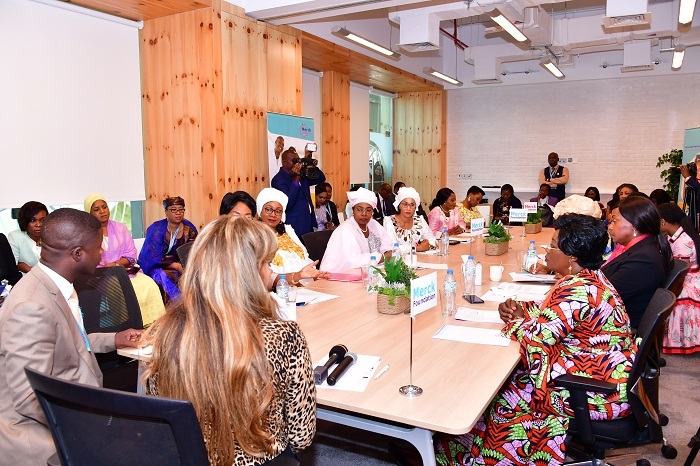 First Ladies of Mauritania, Namibia, Guinea Conakry, Zimbabwe, Gambia, Malawi, Sierra Leone, Liberia, Botswana, Niger, Central African Republic, Burundi, Mozambique, Congo Brazzaville, Ghana during Merck Foundation First Ladies Initiative (MFFLI) Summit 2019. Dr. Rasha Kelej, CEO Merck Foundation & President of Merck More than a Mother with H.E. 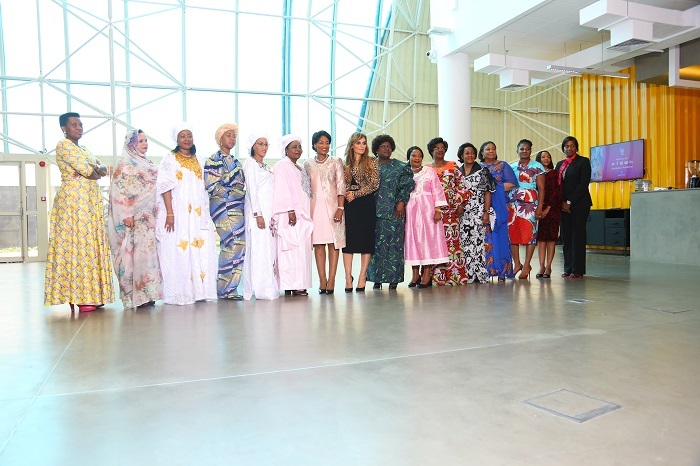 First Ladies of Malawi, Guinea Conakry, Niger, Gambia, Zimbabwe, Burundi, Ghana, Congo Brazzaville, Botswana, Mozambique, Namibia, Mauritania, Sierra Leone, Liberia, Central African Republic during Merck Foundation First Ladies Initiative (MFFLI) Summit 2019.